Only available for new members or those with no previous purchases or cashback through TopCashback. • Up to £15 Cashback on purchases at LOCO2, means that TopCashback will award £15 cashback for any eligible purchases worth £15+. Purchases under £15 will receive 100% cashback. 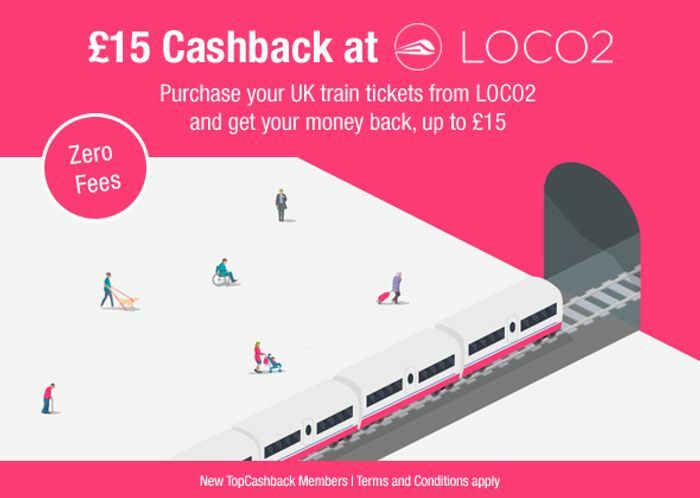 • The £15 cashback at LOCO2 start date is the 08/04/2019 and the offer end date is 02/06/2019 23:59.